In the early summer of 2010, jazz composer / artist / educator Jane Ira Bloom was recording and mixing at Avatar Studios, as she has done for so many years. Upon the suggestion of her engineer Jim Anderson, she and Jim approached me about a very unique project. Jane’s childhood friend was working on a new film and asked Jane to compose music for a series of six three-minute films based on Jules Feiffer's beloved cartoon character, the modern DANCER - with a live dancer. I was somewhat familiar with Feiffer’s cartoons and was a fan of Little Murders, a play (later turned into a film with Elliott Gould) that he wrote so I was intrigued. The director was Judy Dennis, a veteran of the film world working on her second short, who was aided by her twin sister Ellen Dennis as co-producer. The intent was to have the films exhibited in public - for free - throughout New York, US and abroad. It was a very “New York” project and very much a labor of love. We decided that we wanted to participate in the project as well by donating studio time to record the music. 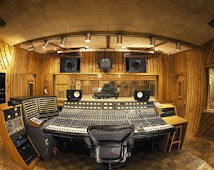 The music, composed by Jane Ira Bloom, was recorded in late October, 2010 in Studio B, her favorite room. The series of short films, now collectively called THE DANCER FILMS, was completed recently and the 9-minute compilation version was first shown at The Association of Performing Arts Presenters Conference in New York in January 2011. It was interesting to be associated with such a unique, artistic project. I conducted a brief interview with Judy Dennis and Jane Ira Bloom about THE DANCER FILMS. Lightbulb. Had the idea of creating a series of very short films, and Feiffer's Modern Dancer appeared in my thoughts. I arranged a visit with Jules, and he was open and eager. Discerning, too. He is excited by the imagination, and loves dance. Ellen (my producer and twin sister) and I assembled dream collaborators for a two-week artist residency at Baryshnikov Arts Center to see if the drawings would alchemize into live dance for film. Our first collaborators were Andrea Weber - you may know her from her work with Merce Cunningham Dance Company - and choreographers Susan Marshall and Larry Keigwin (who each worked separately with me). Everyone fell quickly into the Feiffer groove, and we finished the residency with 8 dances (6 of which we've filmed), voice narration by Jennifer Dundas, and perfect theme music by Jane Ira Bloom. 2. What was your motivation for doing this project? Why go through all this effort to put together something and not enter any film festivals or go through any theatrical releases and make it available (for free) as performance art pieces? What is your plan in exposing this work to the public? Though the Dancer is a true original, I feel I share her worldview, and her view of her place in the world. She has been pretty much off the scene since Jules retired from The Village Voice, but I'm not alone in this! There are generations nostalgic for her; and a generation sure to be captivated by her and by Feiffer's bracing point of view. We aren't averse to theatrical release. We hope the films will reach a cinema-going public, and will be broadcast internationally. But we'd love to see them exhibited in theater lobbies as well as in theaters; in public atriums, parks, piers, across campuses, in museums - wherever people wander. We hope the films will reach the broadest population possible - for free, wherever possible - to bring a bit of effervescence to anyone who encounters them. 3. What was Jules Feiffer’s reaction when you told him about this project? Jules was enthusiastic at the beginning and has been delighted ever since. 4. In what way do you think this project is uniquely New York in flavor? Feiffer's Dancer is based on a modern dancer seeking an artistic life in New York in the late 50s, and she's got the City running through her nervous system. Our artists are all New Yorkers. In addition to filming the dances onstage at SUNY Purchase, we filmed in iconic locations throughout New York City: the Brooklyn Bridge, Central Park, American Museum of Natural History, Brooklyn Botanic Garden and The Metropolitan Museum of Art. But we believe the films will hit the heart and funny bone of anybody, not just those of us lucky enough to live in NY! 5. You used kickstarter.com to gather funding for this project. How did you find the experience of raising funds this way? We raised a fraction of our budget through kickstarter. Kickstarter invited the participation of friends and art supporters for whom $10 and $100 contributions were significant. 6. Can you describe what the six cartoons used were? A DANCE TO THE END OF SUMMER. Our film A DANCE TO THE NEW YEAR is based on Feiffer’s A DANCE TO 1967. We updated his cartoon simply by slugging "Afghanistan" for "Vietnam" into a short litany of the Dancer’s concerns. 7. Can you explain the process of filling in the action between each drawing? We used the drawings as choreographic blueprints. Each choreographer and I selected Dancer cartoons that most excited us from Feiffer's 40 years of work. We discussed gesture and text, the narrative, arc and comic moments of each piece, talked generally about the psychology, tone and spirit of the dancer, and set to work. Susan Marshall and Larry Keigwin each have a unique approach to choreography. Andrea Weber (our Dancer)'s work, improvisatory and otherwise, was significant in the evolution of each piece. In the end, all 6 dances feel - and look - true to the gesture in Feiffer's drawings. 8. As a director, how did you approach shooting six different dance vignettes? I set out to create six individual very short films. Each film includes a dance and a "coda" - footage of the Dancer on location in New York, linked thematically to its dance. Often, the Dancer dances to celebrate a milestone - seasonal, emotional or political. Each film has its own short story, its own meaning. We filmed all the dances on one set - a very large continuous cyc (background and floor) designed by Neil Patel, with a subtle metallic paint surface that takes a range of light and color beautifully. The idea was to evoke the rapturous place the Dancer "goes to" when she dances. Jane Bloom created theme music, which is incorporated, with some variation, into each of the 6 films. 9. Would you like to talk about any item that really stood out or was unique about this project? Here's one story to illustrate. We were scheduled to film the coda to A DANCE TO SPRING in the Brooklyn Botanic Garden on a specific date in Spring, when the cherry blossoms were in full bloom. (In this cartoon, The Dancer dances to celebrate the arrival of Spring... and then it snows.) Our Director of Photography had flown in from Santa Fe, crew was assembled, gear packed, permits set, trees blossoming. Then... news of volcanic ash arrived, but Andrea, our Dancer, did not! She was stranded in Monaco, on tour with Cunningham. So, that was that, DP back to Santa Fe, etc. When Andrea finally returned - during a sudden cold snap - we ran with her to the Botanic Garden with our residency videographer, gear we could grab, and winter coats. And just as we rolled camera, the wind stirred and the last cherry blossoms began to fall, just like the snow in Feiffer's cartoon! A perfect ending for the film. Creativity, time, facilities, funds. We were able to create the films on the concert hall at SUNY Purchase, at Avatar, in the Metropolitan Museum of Art - because of the openness and generosity of old and new friends, our artists and supporters. Many of our supporters gave outside their customary range of giving. Our collaborators are the world's tops. We hope they'll find their gifts in every frame of our films. 1. How did you get involved with this project? I worked with Judy on her previous short film “Patriotic.” Aside from the fact that we’ve known each another almost our entire lives, we’ve developed a good working relationship on these creative projects. 2. What was your approach in composing music for this project? It’s always hard to see into your own creative process but I guess I could say that I always value my first instincts when I experience a new idea. I try to feel what the dance is about as opposed to describing it with the music. 3. How did you approach composing for six different dance vignettes? Judy’s direction and Andrea Weber’s movement and demeanor were often my guides. I tried to internalize the wry quality of Feiffer’s voice in the cartoon captions for the character and just let the humor fly. 4. Given that you could have used any kind of music, was there a particular style of music or music from a certain period that you used for this project? Early 60’s cool beat with the flute, bass, and congas was where I started from. After watching the film, I can now understand the intent of the filmmakers. By showing the film in a public space and surprising unsuspecting passerbys, perhaps changing their outlook for the day or just bringing smiles to their faces, erasing even if for a moment, any worries they might have had just by watching a very short film. That is a worthwhile endeavor to be sure. Just remember, that work such as this might be consumed for free, but a lot of people spent a whole lot of time, energy and considerable amount of money to bring this work before the public.